Seeing as travel and food always go hand-in-hand, let’s set off on a mouthwatering adventure through a country known for its curious and diverse national cuisine – Turkey. 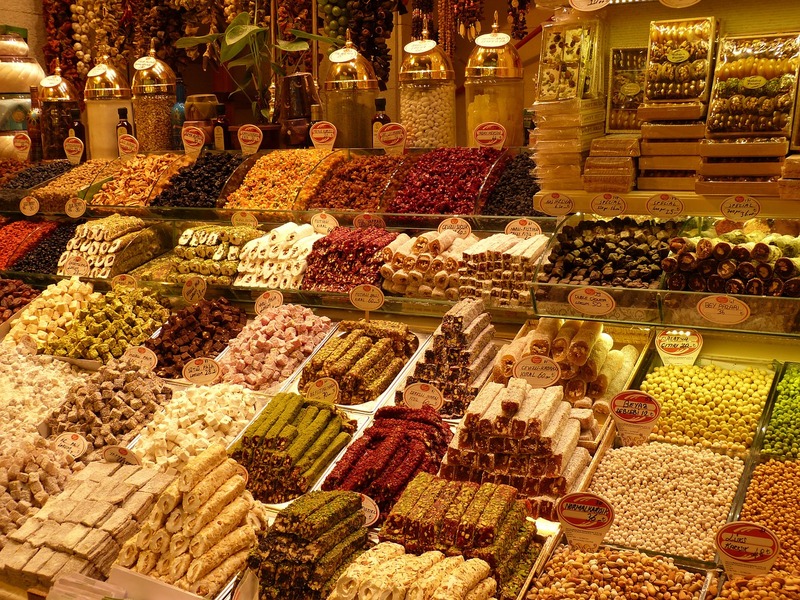 Turkish cuisine is a perfect mix of flavors and ingredients. It is mainly derived from Ottoman cuisine – and bearing in mind how big and ethnically diverse the Ottoman Empire was, it is easy to understand why influences from at least four different cultures can be found in Turkish food today: Balkan, Asian, Arabian and Mediterranean. 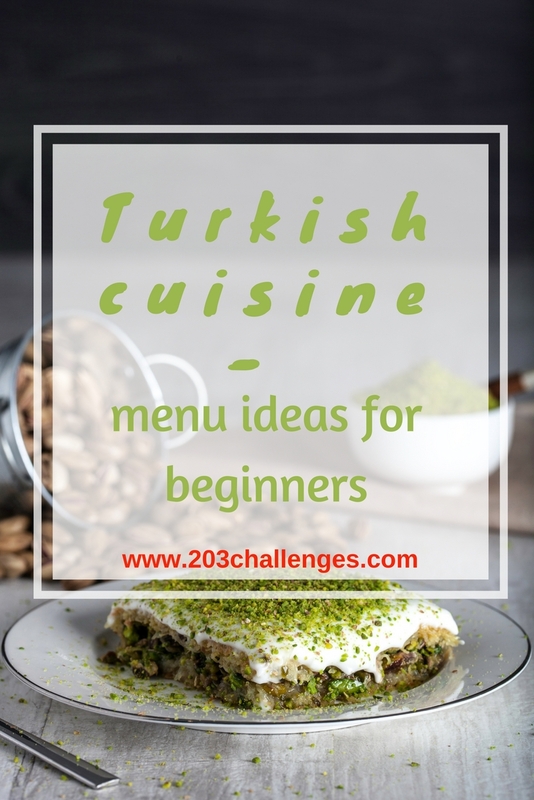 Though typical dishes vary across the different parts of the country, there are some common key ingredients that can be found almost universally: lamb, beef, rice, eggplants, peppers, onions and of course – for Turkey’s famous desserts – pistachios, almonds and hazelnuts. You can’t get a taste of authentic Turkish food without trying the meal that made the Imam (an Islamic Leader) faint – at least that is the legend behind the name of the famous onion and tomato stuffed eggplant dish “Imam Bayildi”. The name literally translates as “the Imam fainted” and the story goes like this: one day the wife of the Imam cooked this meal and it looked so delicious that the Imam fainted just at the sight of it. Another star of Turkish cuisine is rice – pilaf – which is served as a side dish with almost every meal. The most popular and easiest version of this is just plain rice, cooked in water and stirred through with butter, though sometimes tomatoes, chickpeas, eggplant and various spices can be added. And since one of the few well-known truths about life is that “pizza is always a good idea”, while in Turkey you can substitute that for what is often referred to as “the Turkish pizza” – lahmacun. 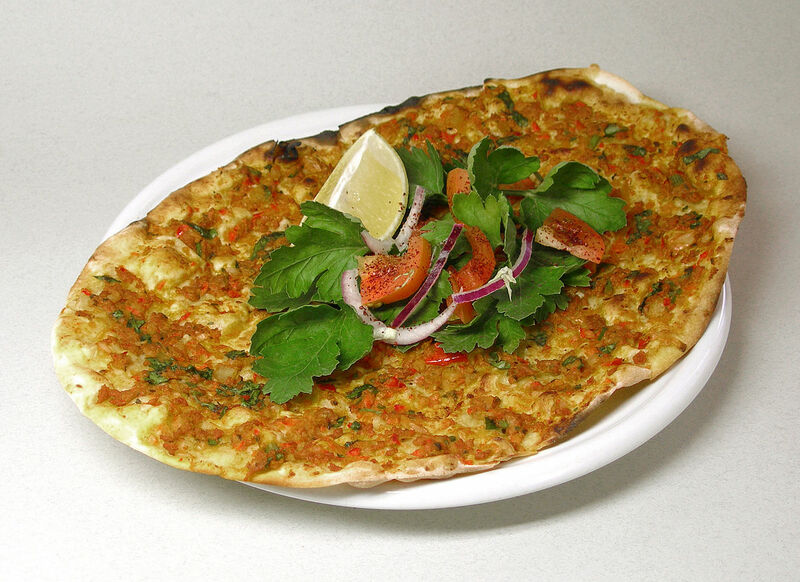 The meal consists of thin dough topped with minced meat and vegetables, then sprinkled with parsley and lemon juice. It goes very well with ayran (a salty yogurt drink) and is a relatively cheap, fast snack. Think of the sweetest thing you’ve ever eaten. Multiply that by three and you get the flavor of Turkey’s most famous dessert: baklava. Today’s baklava recipes date back to at least the 15th century, though the initial time and place of its origin are still debatable. 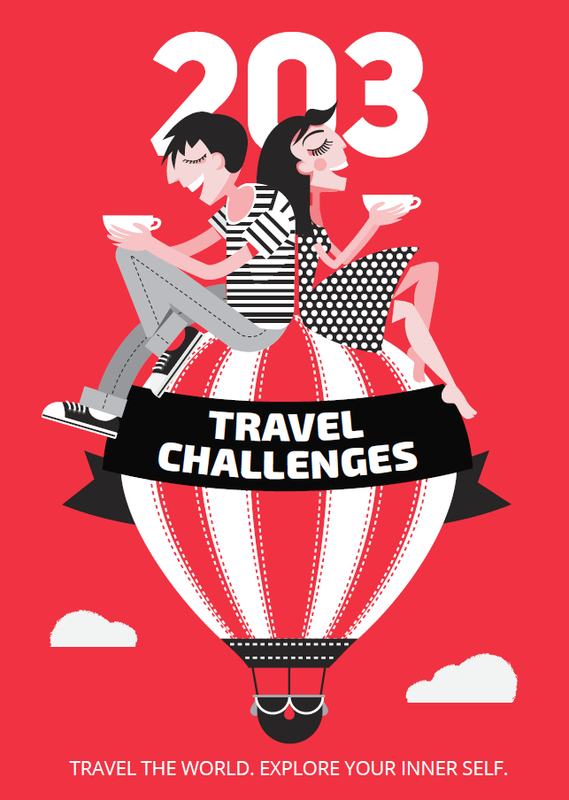 What’s for sure though is that baklava is one of the most popular snacks to eat between meals or with a cup of tea. Traditionally it is made from filo pastry filled with pistachio, almonds or hazelnuts and held together with syrup. A lighter and rather fresher dessert is the Turkish muhalebbi – a creamy, milk-based pudding. It is thickened by rice flour, topped with syrup and often flavored with cinnamon, saffron and some pistachios on top. 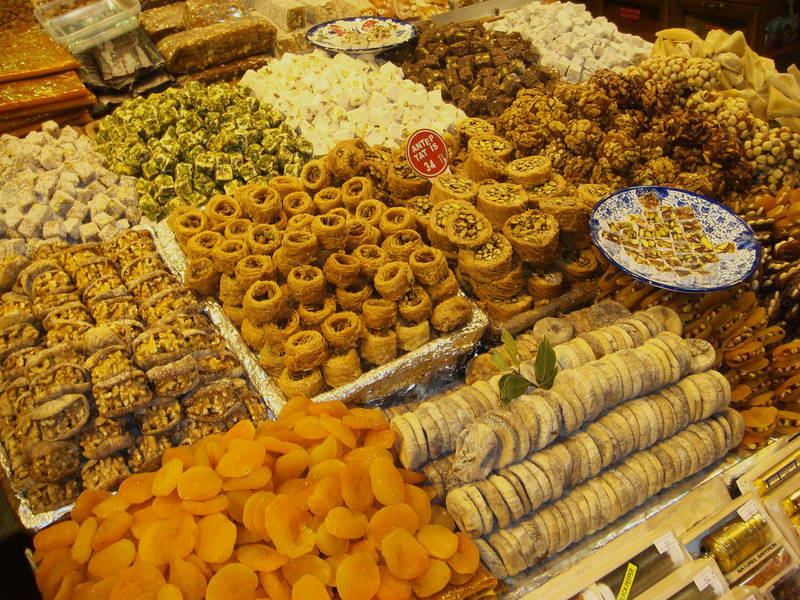 And a trip to Turkey doesn’t even count if you don’t return home with some treats like the delicious Turkish delight (gelatinous candies made from starch and sugar), tahin (crushed sesame seeds), flour or semolina helva, or marzipan (Turkish marzipan is considered to be among the best in the world). Turkish coffee is a big part of the country’s cultural heritage. Drinking coffee is a social ritual here and has been so ever since the 16th century, when the first coffee houses appeared in Istanbul. 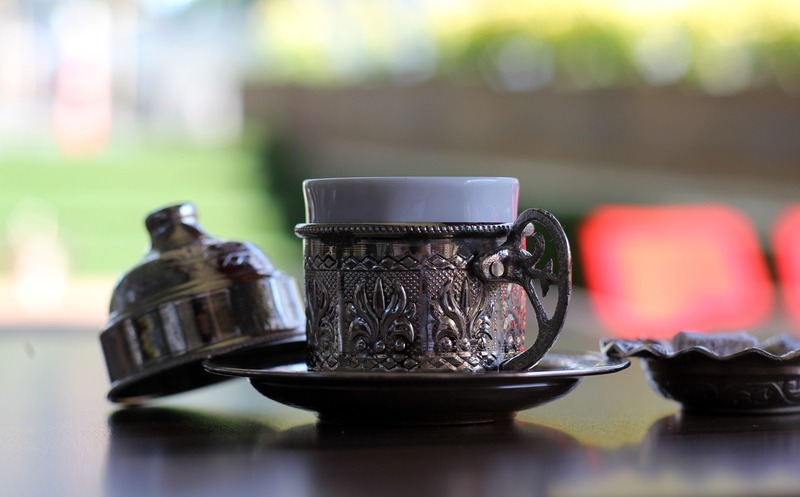 In fact, the Turkish lifestyle is so influenced by the beverage that even the world for breakfast (“kahvalti”) translates literally as “before coffee”. It plays a big part in some special occasions like engagements, when the bride’s coffee-making skills are judged by the groom’s family. When you are done with your coffee, it is common for your hostess in Turkey to use the leftover ‘mud’ in the bottom of the cup for fortune telling and discovering your true thoughts and feelings. There are some special techniques for brewing Turkish coffee that make it unlike any other. The coffee is first blended, then roasted and ground. Some special tools are needed from this point on, like the copper boiling pot (cezve) in which the coffee slowly brews, and the artistic ceramic cups in which it is served. 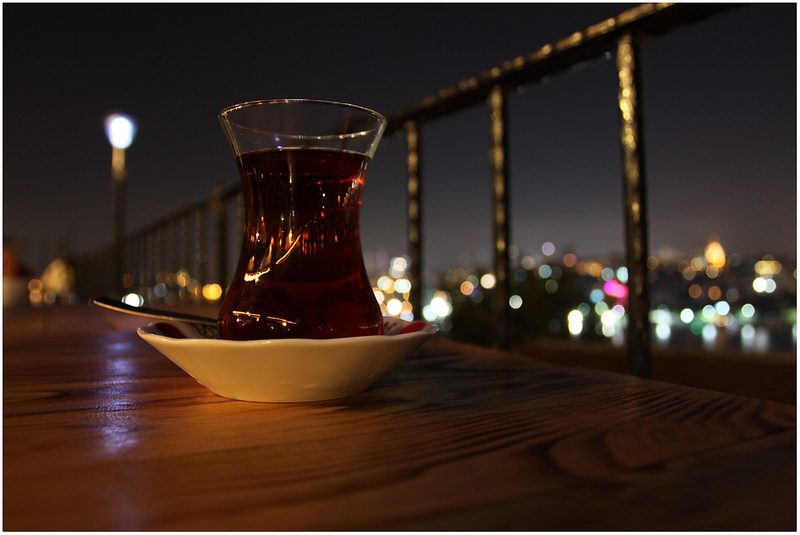 Turkish tea is black and strong and served boiling hot in a tulip-shaped glass. In the past century it has become the drink of choice for most people and is sure to be offered to guests at Turkish people’s homes. Just like coffee, there is a specific ritual for preparing Turkish tea – in a double-level teapot made specially for that purpose. First the water is poured into the bottom level, and some herbal leaves placed in the upper one. When the water starts boiling, part of the liquid rises to the top one for about 15–20 minutes. The strong drink is then served along with the rest of the water, which can be added to dilute the strength of the tea, depending on the person’s individual preferences. The Turkish kebab that can now be found all over the world has an interesting origin. When Turkish soldiers were away from home, they used their swords to grill meat. One cook from Bursa – Iskender – took that idea, but decided to place the rotisserie vertically instead of horizontally. In doing so he became the father of the most famous Turkish kebab – the döner kebab – which is well known as one of the most delicious and popular street snacks all across Turkey (and the whole world, really!). Another on-the go breakfast favored by a lot of Turkish people, especially in Istanbul, is the simit, which is actually one of the symbols of the city. It is easy to understand why when you smell the tempting aroma of the freshly-baked, sesame-encrusted bread rings early in the morning while the city is still waking up.